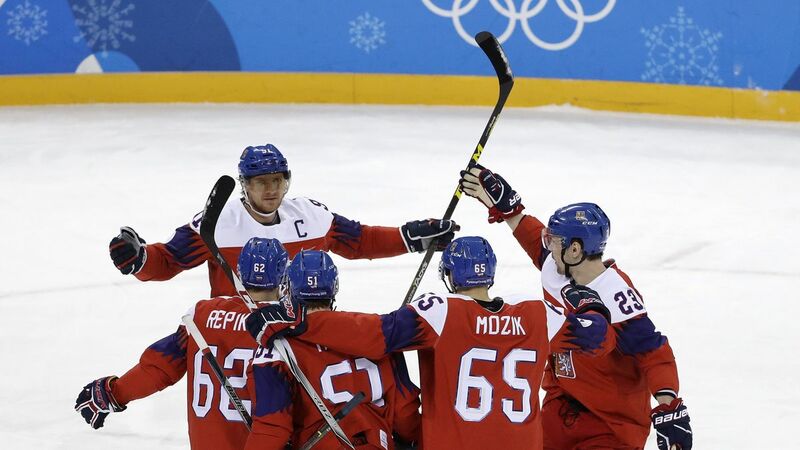 Team Czechia scored three goals in the third period handing a defeat to Switzerland and to win their group in round one of the men’s Olympic hockey tournament, earning a place in the quarter finals. Michal Repik came alive in the final period scoring two goals. Including an empty netter in the last 60 seconds of the game. Goalie Pavel Francouz stopped 28 shots on goal. Roman Cervenka and Dominik Kubalik added to the win with one goal each. The win secured the top seed in Group A with a total eight points.